in competition: "cinema of conscience" & "arts in film"
Winner of a golden HUGO at the 48th Chigago TV Festival Hugo Awards. 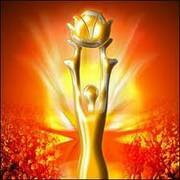 Kinshasa Symphony is nominated in the category „Information & Culture/Special“ for the German TV Grimme-Award 2012. Winners of International "Gold Panda" Awards for Documentary at the "11th Sichuan TV Festival": Kinshasa Symphony receives GRAND PRIZE and prize for BEST DIRECTOR! AWARD NEWS: Best Arts in Film Documetary - Feature International @ Santa Rosa Int. Film Festival! Tonight screening at the opening ceremony of the "German Film Week" in Bujumbura, Burundi @ 7pm (19h) - with Martin Baer and Pascal Capitolin! Theatrical release in France! ! ! The children of an elementary school in Berlin-Steglitz, "Grundschule am Insulaner", have collected 600€ to support the music school project of the orchestra! Best Documentary at the 11th Image et Vie Film Festival in Dakar, Sénégal! Theatrical release in Austria on May, 20th! ... and another Audience Award! This time in Pessac/France at Palmarés-Du Festival de cinéma jeune public-Les Toiles Filantes! 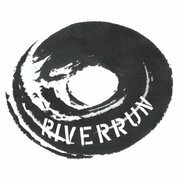 Audience Award for Best Documentary Feature at the RiverRun International Film Festival in Winston-Salem, USA! Kinshasa Symphony wins two awards at the 25th Bolzano Film Festival:"Best Documentary" and Audience Award! Kinshasa Symphony has won two more awards! The World Gold Medal at the New York Festival in the category documentaries as well as the Award for the Best Artistic Achievement from the city of Potsdam. "Met a woman who drove up from Atlanta (530 km distance) with her daughter just to watch "Kinshasa Symphony" today!" Theatrical release in France in September! Beautiful segment about Kinshasa Symphony on NYC's classical music station WQXR. Armand Diangienda will be attending 2 festivals in the US in April: The AFF in NY and RiverRun Int. Film Festival in Winston-Salem!!! Kinshasa Symphony has won the Jury Award at the 2011 Salem Film Fest! 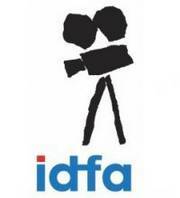 Kinshasa Symphony is nominated for the GERMAN FILM AWARD 2011! Kinshasa Symphony is preselected for the German film award Lola. Theatrical release in Belgium January 2011! CMJ Music&Film Festival, New York, announces Kinshasa Symphony as "Best Documentary" in the Audience Poll! WDR musicians back from Kinshasa! Trip and work with the Orchestra a huge success! Closing Film at the European Film Festival in Göttingen/Germany. Sold out again! Two sold out screenings at the EthnoFilmFest in Munich and apparently a record in visitors and positive feedback! Screening at Free Zone Festival in Belgrade: "The screening was really great. Our audience loved the film. I can say that Kinshasa Symphony was one of the hit films at Free zone." November 2010: Theatrical Release in Switzerland! "Special Jury Mention" for creative dramatic illustration of the survival topic at "Flahertiana" Film Festival in Perm, Russia! "VIFF Most Popular Nonfiction Film Award" in Vancouver! Kinshasa Symphony is the Audience Favourite at the "10th Festival des Deutschen Films" in Buenos Aires! Our first need at betterplace.org has been completed. Thanks to everyone for the donations and support! Great cinema release! Kinshasa Symphony in 6th place at this week's Arthouse-Movie-Charts! Now donations for the orchestra possible at betterplace.org! "Kinshasa Symphony" is nominated for the Erasmus EuroMedia Awards 2010. The 6th Jecheon International Music & Film Festival presents the Grand Prize to "Kinshasa Symphony" from the International Competition section, "World Music Film Today". Grand Prize "Best Cinematography" goes to "Kinshasa Symphony"
The 2010 Flickers: Rhode Island International Film Festival (RIIFF) announced the winners in this year’s film competition at its annual Awards Ceremony in downtown Providence, RI. The festival ran August 10th-15th and showcased over 200 cinematic works, including 35 World and 23 US/North American Premieres. 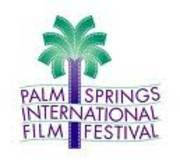 The films were selected from a record entry base of over 4200 international submissions. Filmmusik verbindet die Festivals in aller Welt: bei den Oberaudorfer Musikfilmtagen spielt die Jugendblaskapelle Filmmusikklassiker - zur Eroeffnung des Jecheon International Music & Film Festivals in Korea gibt es ebenfalls Filmmusik, diesmal gespielt auf koreanischen Saiteninstrumenten. Beide Festivals sind noch jung. Beide sind ausgesprochen gastfreundlich und wunderbar musikorientiert. Fantastisch, dass beide Kinshasa Symphony zeigen! In Bayern mit deutschen Untertiteln, in Jecheon mit koreanischen. Pascal Capitolin stellt Kinshasa Symphony beim Durban International Film Festival vor: "Die erste Vorstellung fand vor vierhundert Schülern statt, die danach vor allem fragten, wieso Schwarze klassische Musik statt Rap oder ähnlichem spielen. Der Film kam sehr gut bei ihnen an - und gelacht wurde an ganz anderen Stellen als in Europa. In Südafrika haben schon erstaunlich viele Menschen von "Kinshasa Symphony" gehört." Kinshasa Symphony hat seine Premiere im Kongo. Special Mention: Kinshasa Symphony "The jury was very enthusiastic about the portrayal of the creative musicians in Congo." The team is back in Berlin and the postproduction has started already. The second phase of filming in Kinshasa has begun. Fortunately, the rains have held off. Rehearsals, outside shots, short musician portraits and a new protagonist: a tubist with his own pharmacy. And: the cameraman still has both his shoes. sounding images GmbH has succeeded in bringing the Kinshasa Symphony project to the attention of the Rundfunk-Sinfonieorchester Berlin. The orchestra gave the filming team a crate with collected instruments for L’Orchestre Symphonique Kimbanguiste. A long-term partnership is planned between the two orchestras. An instrument maker is also to travel to Kinshasa to offer support and advice locally. sounding images has succeeded in securing the patronage of the German Commission for UNESCO for the Kinshasa Symphony project. This makes us very proud.